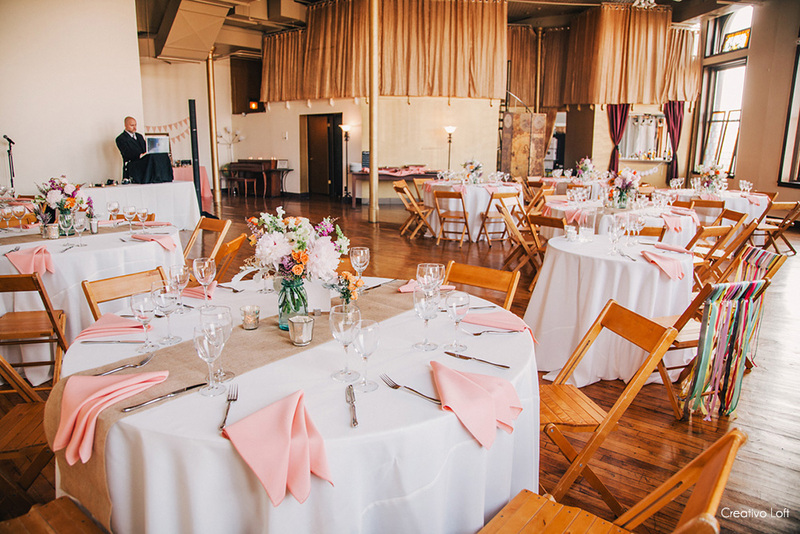 Creativo Loft offers popular all-inclusive options for small weddings in Chicago. Our Casual Weddings and Standard Weddings are completely customized all-inclusive packages, except that you separately higher an outside caterer for cuisine and bar package. 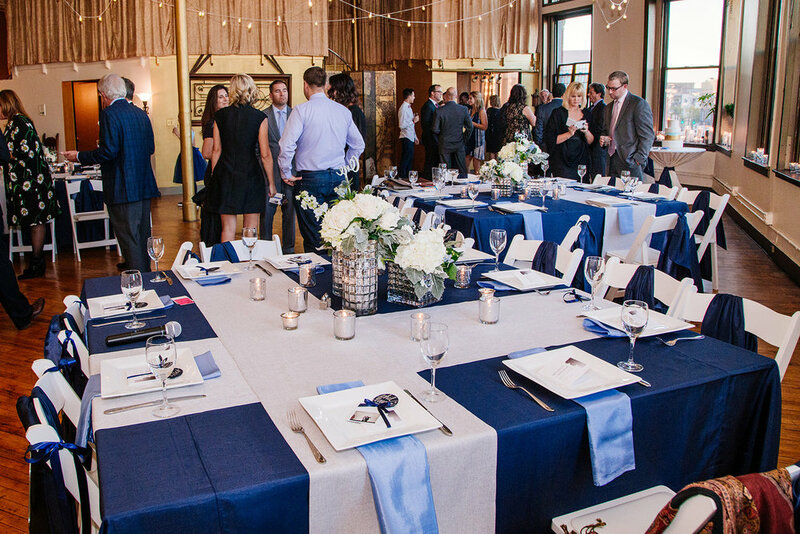 Casual Weddings have a shorter amount of time, so they can work for a casual seated banquet or an alternative cocktail party style reception, and are popular for slightly smaller groups, from 30 to 62 people. Standard Weddings are a standard full day schedule, and are preferred by couples desiring a more formal wedding experience, including plenty of time for dancing, with typically 50 to 74 people. Do you have a group of 30 people or fewer? Please also see our Elopements and Tiny Weddings options too. Please fill out our CONTACT FORM or EMAIL for more information. Thank you. Creativo Loft's Casual Wedding packages start with up to 5 hours for your event time, and may be scheduled for any time of day. All-inclusive services (excluding catering and bar) start at a minimum of $8700 for up to 50 people, and may be upgraded for a group up to 62 people. This is a great option for shorter, less formal style weddings such as an afternoon luncheon, casual dinner banquet, or cocktail party style reception. Our Casual Weddings are ideal for groups ranging from 30 to 62 people max. We are open to negotiating rates and services when requested, especially if your group has less than 40 people. Please contact us to discuss. A licensed and insured full-service catering company of your choice must be used for cuisine, bar service, staffing and service rentals. Self-catering is not permitted. We are happy to recommend several caterers that specialize in intimate events with fine quality cuisine. Please contact us for a personalized estimate for your specific group size and reception plans. 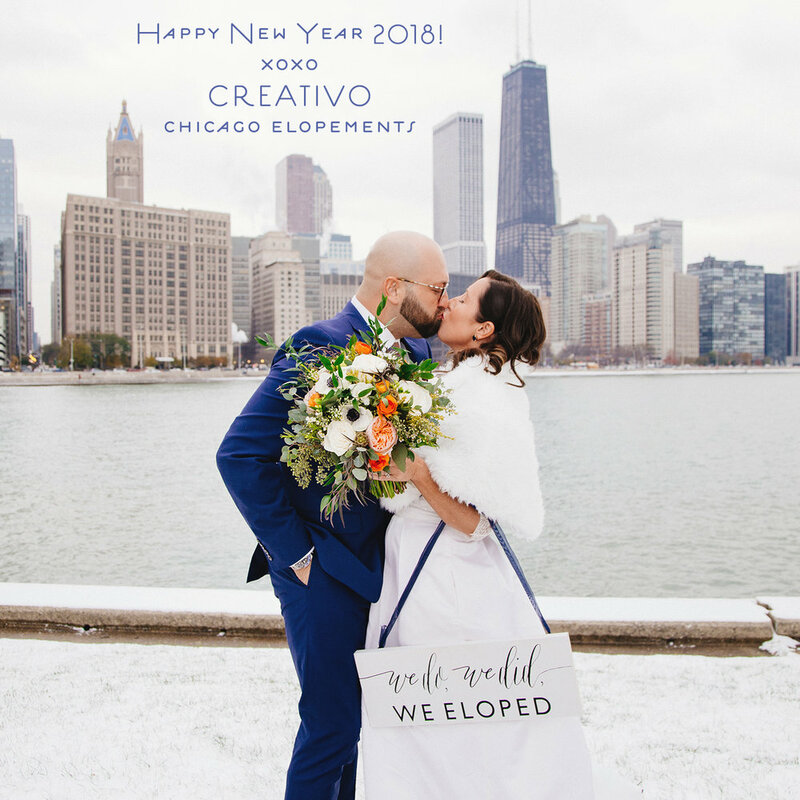 Also, if you are not interested in the all-inclusive package, and are just interested in booking Creativo Loft for a similar "casual" wedding, then our venue rental fee starts at $4000 for up to 5 hours with up to 60 people max, including tables, chairs and linens. Please visit our venue website CreativoLoft.com for more information, or contact us for a custom estimate. 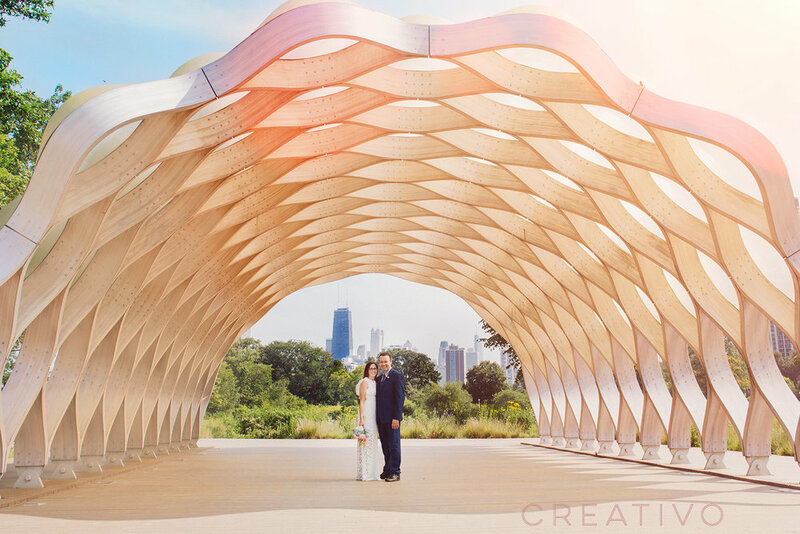 Creativo Loft's STANDARD Wedding packages are generally ideal for group sizes 40 to 74 (our max capacity), for a full day 8-hour wedding schedule, and highly customized services. Standard Wedding All-inclusive Packages generally start at $10,000 for groups with 50 or more people. Venue Rental ONLY starts at $5000, scroll down for details. OPTION TO ADD ADDITIONAL SERVICES INCLUDING PHOTOGRAPHY, FLOWERS, CAKE, MUSIC, ETC. Request an estimate for event coordination and an all-inclusive service package. A licensed and insured full-service catering company must be used for cuisine and bar service. Self-catering is not permitted. We are happy to recommend several caterers that specialize in intimate events with fine quality cuisine. Please contact us for a custom estimate. Please fill out our CONTACT FORM or EMAIL for more information. Viewings and meetings by appointment only, generally Monday - Thursday between 11am - 7pm. Thank you. All couples of any orientation, beliefs, or cultural heritage are welcome at Creativo Loft. We can also coordinate an overall look or theme including invitations, thank-you cards, ceremony programs, menu cards or buffet display, guestbook, display engagement prints, lifetime or tribute collages, guest favors, cake/cupcake toppers, photo backdrop with custom props, instant camera station with custom props, chair back decor, ceremony and reception accessories and other details. Please request a design consultation and estimate on upgrading your services when booking your package.